Great split bedroom plan is like having 2 master suites! 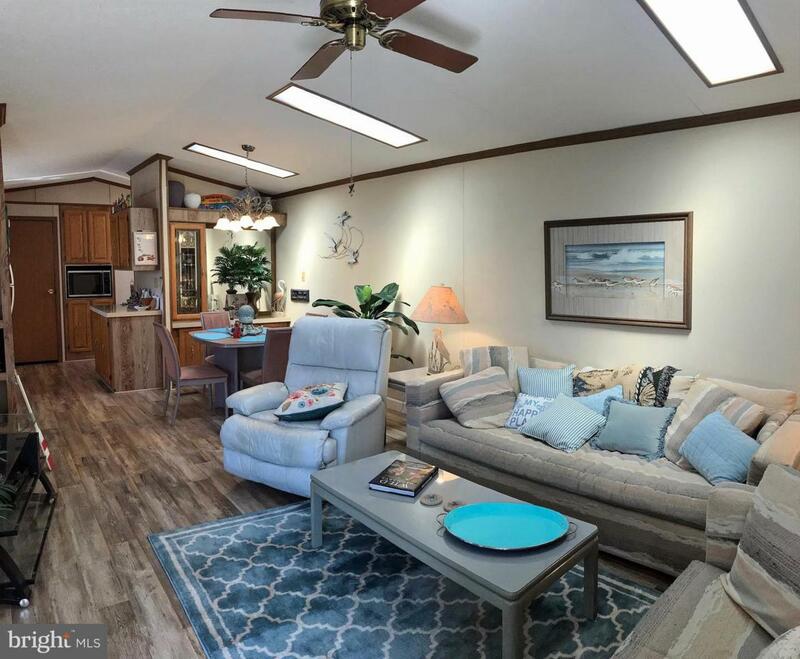 Large 3-season Florida room has a wall AC & electric fireplace so you can use it year round. Genuine Pergo laminated flooring in the main living areas. Living room, kitchen & dining area have vaulted ceilings & skylights for sense of spaciousness. 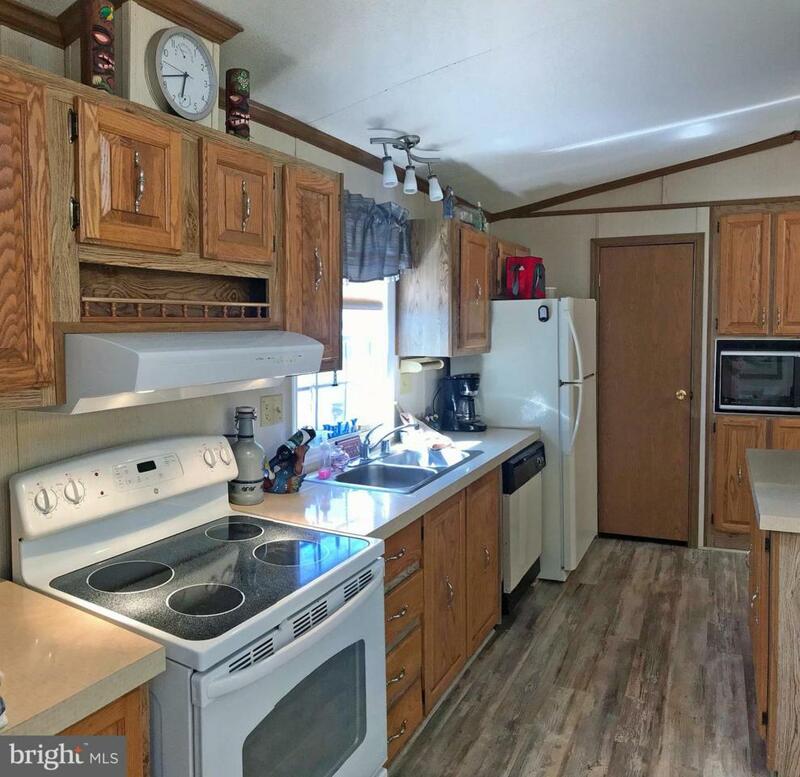 Galley-style kitchen. 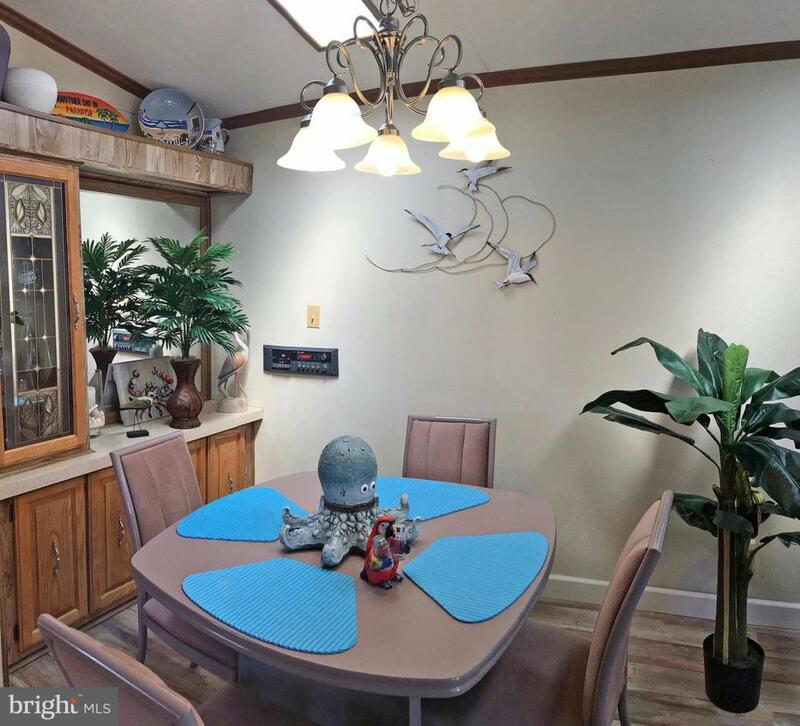 The dining area opens to the living room and adjoins the kitchen. The master bedroom has sliding glass doors out to the open deck & an en suite bathroom with a double-sink vanity. The front bedroom is adjacent to the second full bath. Fencing surrounds the patio area. Shed. Furnished. 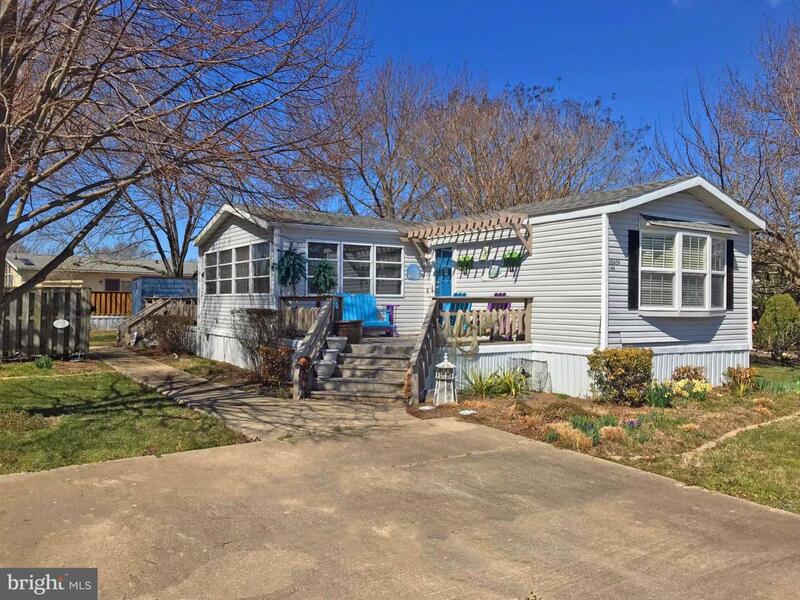 4 miles to the famous Rehoboth boardwalk, and near the community pool & Clubhouse. The State Park Breakwater Junction hiking & biking trailhead is just down around the corner. Annually-renewable leasehold interest: Lot Rent of $740/mt includes seasonal grass cutting, trash/recycle service, pool & clubhouse/fitness center membership. Park Application Required, with acceptance based on: 1)Income Verification; 2)Credit Bureau Score (including debt-to-income ratio); 3)Clean Criminal Background Check. Financing may be available to qualified borrowers from a few Lenders who specialize in loans for manufactured homes on leased land. 3.75% DMV Doc Fee is part of the closing costs. Inclusions Furnished Including Contents Of Shed - "Turn Key"